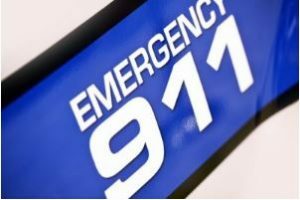 New Castle, Del (July 13, 2017) – A 19-year-old New Castle man was killed Wednesday afternoon in a crash involving a motorcycle, a local news source article reported. Nicolas Ambrosino was involved in the crash at 3:50 p.m. Wednesday, on Pulaski Highway at Maloney Road. Ambrosino was heading eastbound on Pulaski Highway, just before Maloney Road on a 1994 Honda Motorcycle. At the same time, a 1990 Cadillac sedan was attempting to cross over the westbound lanes of Pulaski Highway, from northbound Maloney Road. The motorcycle crashed into the driver’s side of the Cadillac. Both the motorcycle and the Cadillac caught fire due to the impact. Elkton Police, Maryland State Troopers, and Singerly Fire Company responded to the accident. Ambrosino was pronounced dead at the scene by responding paramedics. The driver of the Cadillac was rushed to R. Adams Cowley Shock Trauma Center in Baltimore Maryland for the treatment of non-life-threatening injuries. Pulaski Highway was closed down at the intersection of Maloney Road for about 3 hours as an investigation was ongoing.